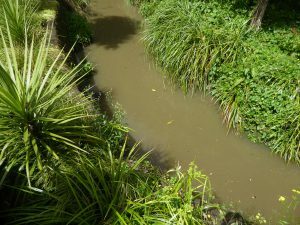 Meola Aquifer – how will it handle intensification? 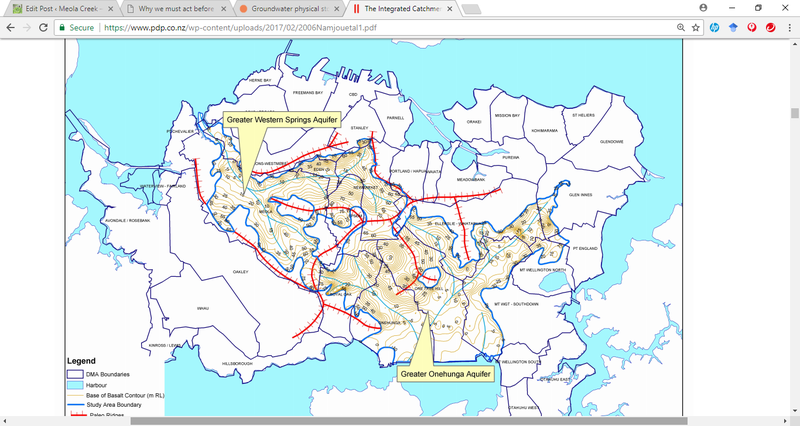 A study conducted for Auckland City’s integrated catchment study looked at two large aquifers on the isthmus, comparing current with “maximum probable 2050 land use” in Meola and Onehunga. This picture shows the “paleo ridges” and “paleo valleys” of pre-volcanic Waitemata sandstone, along which the groundwater flows. It seems Meola Creek and its former tributaries closely follow the valleys of the old landscape. what is the significance of ‘spare capacity’ in the aquifer? Does it mean that groundwater supplies have been reduced? 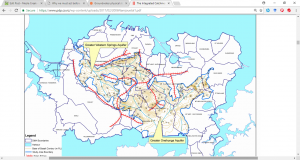 what methods would Auckland Council (AC) grant itself consents for, in order to reduce flooding and recharge the aquifer? how would AC guarantee no reduction of groundwater quality as it tries to deal with further urban development and intensification? what stormwater treatment methods can AC show us now as functional examples? 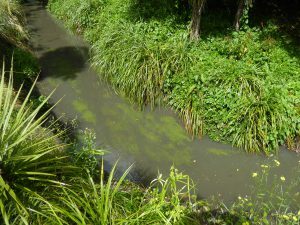 CALL TO ACTION: – please support the water quality initiatives, and the Water Quality targeted rate during the consultation for the “Auckland Plan” and “10 Year Budget” 28 February- 28 March. At that time, submissions can be made online at http://www.shapeauckland.co.nz/. We plan to publish a simple draft submission here to help people do this. Meola Creek near Lyon Ave during downpour – 14 November 2017, 10.22 am and 10.29am. Mayor Phil Goff has outlined specifics of the water quality initiatives planned in the Ten Year budget. Take a look here: See details of the projects on pages 8-9. Stormwater treatment and separating sewage from stormwater are keys to improving harbour water quality and beaches. These will be funded by a “regional Water Quality targeted rate” which can only be spent on stormwater. The “ring fenced” nature of this targeted rate is critical as it means it cannot be diverted to other priorities. 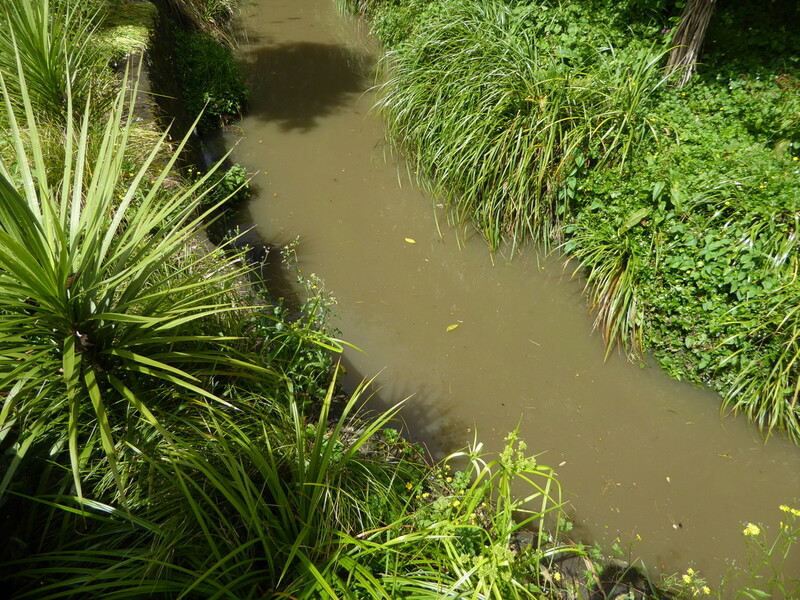 Above are 2 photos taken 7 minutes apart showing the speed of sediment (and sewage) laden water flows through Meola creek to Waitemata Harbour. 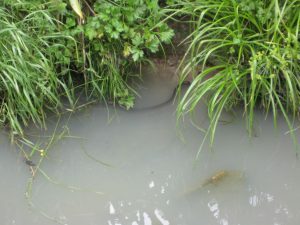 STEPS has posted several videos and photos of polluted stormwater on this page and on facebook pages including Stop sewage overflows in Auckland. 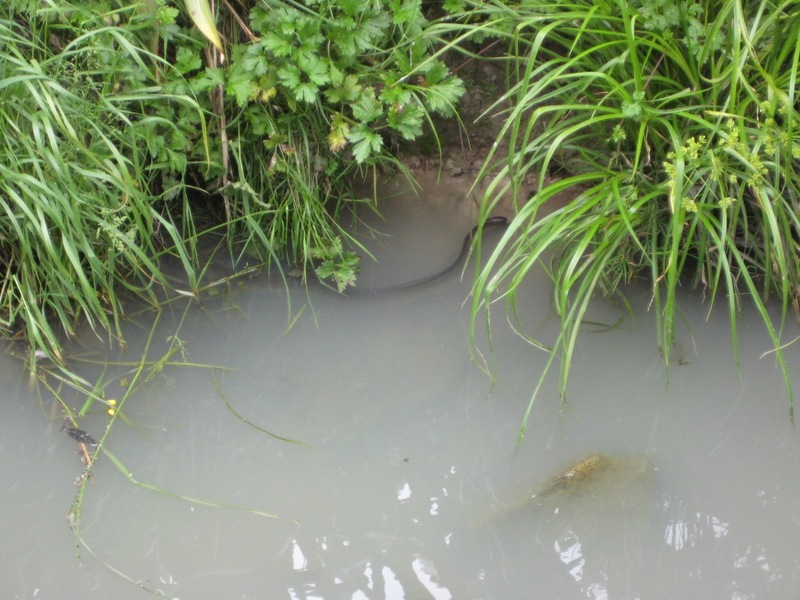 Please like and follow the sewage overflows page to show your support. This levy is transparent and we believe that stormwater treatment and separation from sewage are essential for a healthy future Auckland. STEPS recently outlined the case for this work here. We ask all Aucklanders to think of future generations and vote to start the cleanup now. The project will be considered in February when the Auckland Council Long Term Plan consultation takes place.